FABTECH, North America’s largest metal forming, fabricating, finishing and welding event, experienced its most successful Atlanta show to date, exceeding attendance, exhibitor and floor space records. More than 30,800 attendees from more than 70 countries visited Atlanta for this year’s conference, held Nov. 11-13 at the Georgia World Congress Center (GWCC). 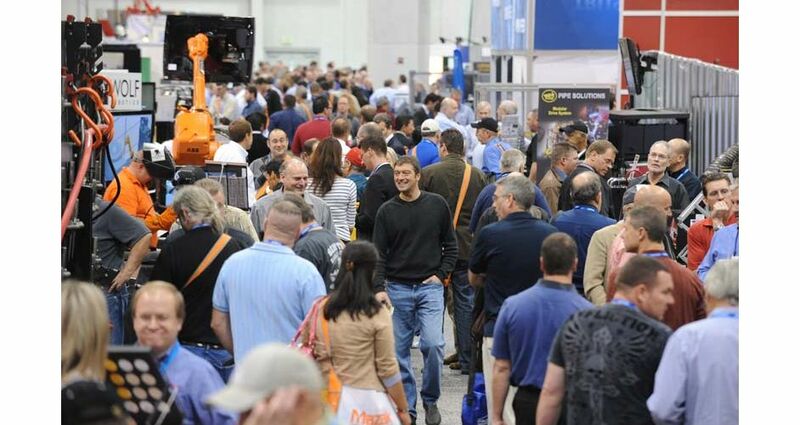 FABTECH 2014 generated an increase of 40 percent in attendance over the 2010 expo in Atlanta, resulting in a direct economic impact of more than $38.7 million. Nearly 1,500 exhibitors covered more than 550,000 net square feet with live equipment demonstrations and product comparisons to find cost-saving solutions. FABTECH 2014 made an impact on more than just manufacturers from across the world. The FABTECH Expo Cares program donated more than $10,000 to Workshops for Warriors, a non-profit organization dedicated to training, certifying and placing veterans in manufacturing jobs. This was one of several special events that the conference planned to coincide with Veterans Day and show support for military veterans. FABTECH will continue its four-year rotation in Atlanta with shows at the GWCC in 2018 and 2022. The expo is co-sponsored by the American Welding Society (AWS), Fabricators & Manufacturers Association International (FMA), Society of Manufacturing Engineers (SME), Precision Metalforming Association (PMA) and Chemical Coaters Association International (CCAI).